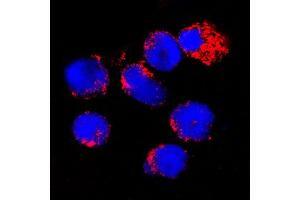 Detection of B7-1/CD80 in Mouse Splenocytes by Flow Cytometry. 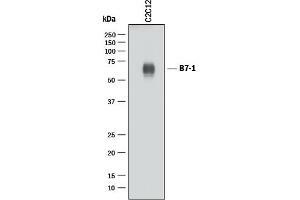 Mouse splenocytes either treated with 200 ng/mL LPS (filled histogram) or unstimulated (open histogram) were stained with Goat Anti-Mouse B7-1/CD80 Antigen Affinity-purified Polyclonal Antibody. 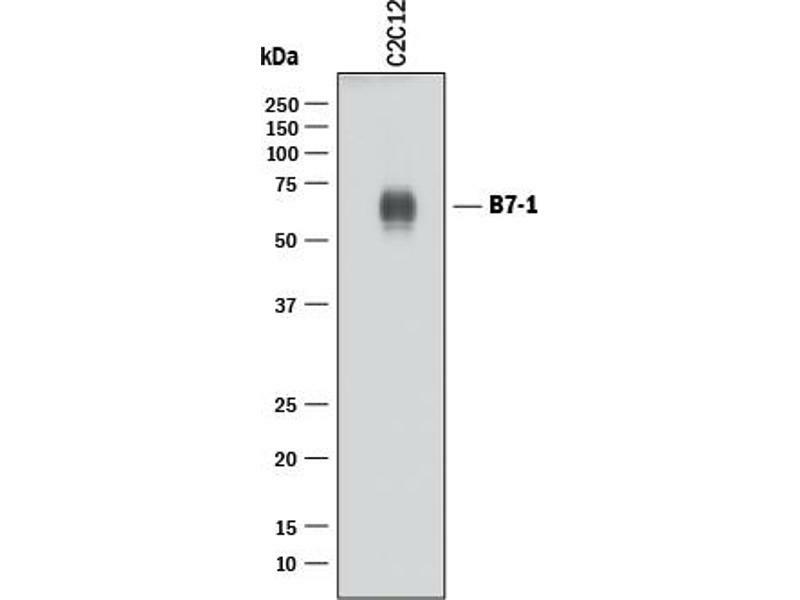 Detection of Mouse B7-1/CD80 by Western Blot. Western blot shows lysates of C2C12 mouse myoblast cell line. PVDF membrane was probed with 1 ug/mL of Goat Anti-Mouse B7-1/CD80 Antigen Affinity-purified Polyclonal Antibody. This experiment was conducted under reducing conditions. 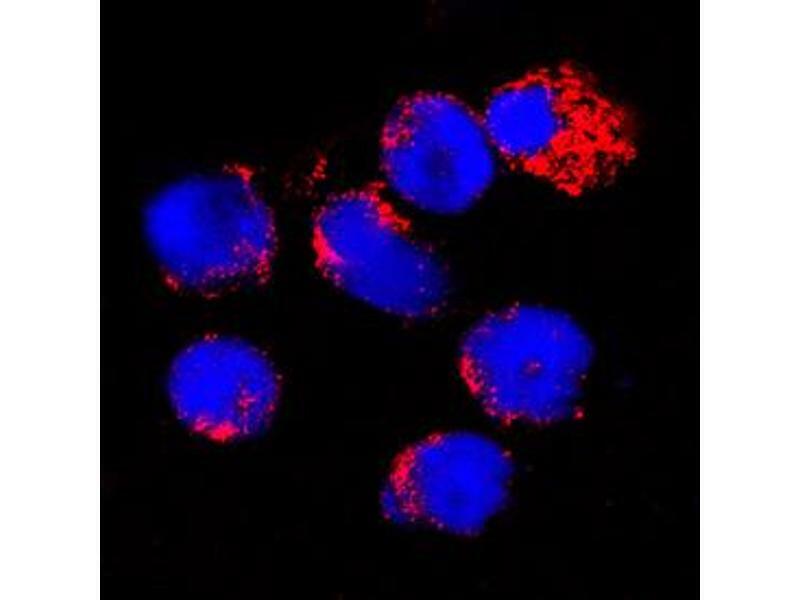 IL-2 secretion Induced by B7-1/CD80 and Neutralization by Mouse B7-1/CD80 Antibody. 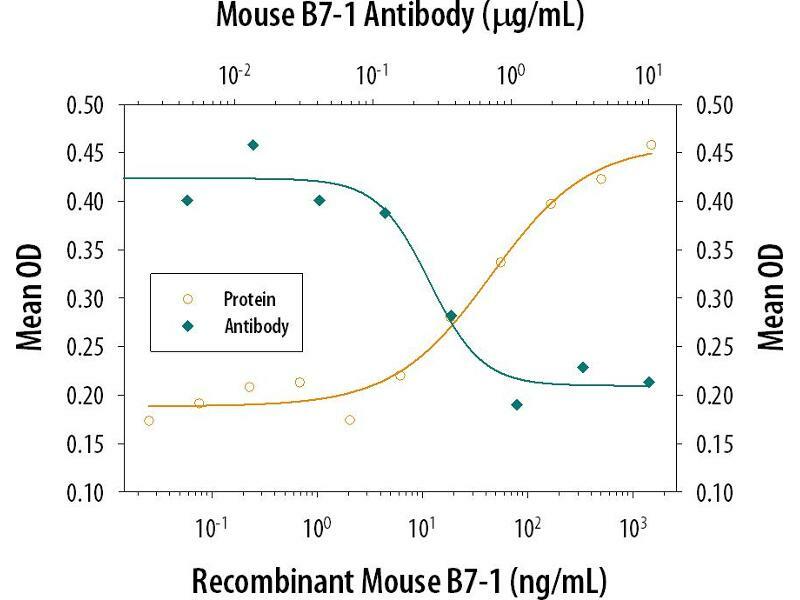 Recombinant Mouse B7-1/CD80 Fc Chimera. The ND50 is typically 0.15-0.6 ug/mL. 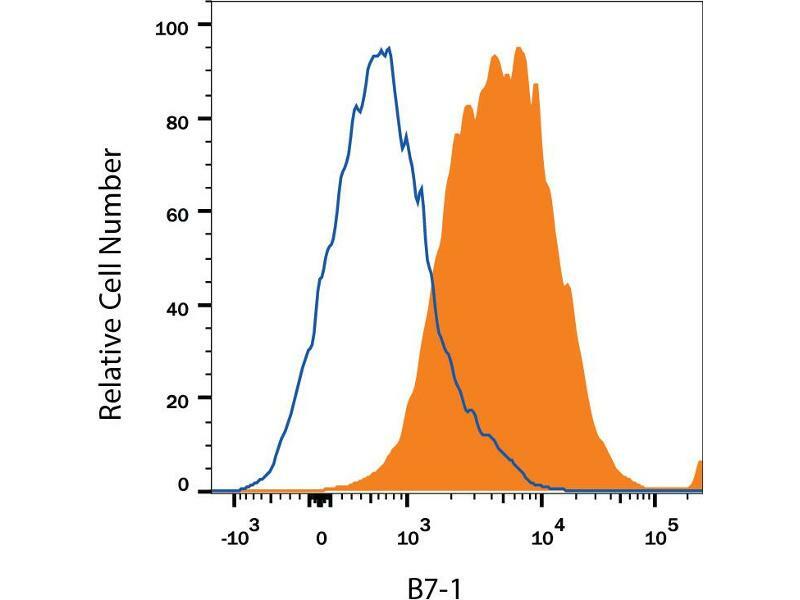 Specificity Detects mouse B7-1/CD80 in ELISAs and Western blots. Clements, Long, Long, Figley, Smith, Ostrand-Rosenberg: "Frontline Science: High fat diet and leptin promote tumor progression by inducing myeloid-derived suppressor cells." in: Journal of leukocyte biology, Vol. 103, Issue 3, pp. 395-407, 2018 Method employed by authors: Flow Cytometry (FACS) (Sample species: Mouse (Murine)). Garg, Delaney, Toubai, Ghosh, Reddy, Banerjee, Yung: "Aging is associated with increased regulatory T-cell function." in: Aging cell, Vol. 13, Issue 3, pp. 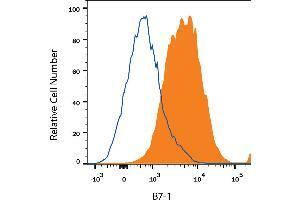 441-8, 2015 Method employed by authors: Western Blotting (WB), Western Blotting (WB) (Sample species: Mouse (Murine)). Sofra, Mansour, Liu, Gao, Primpidou, Wang, Li: "Antigen-loaded ER microsomes from APC induce potent immune responses against viral infection." in: European journal of immunology, Vol. 39, Issue 1, pp. 85-95, 2009 Method employed by authors: Western Blotting (WB), Western Blotting (WB), Western Blotting (WB) (Sample species: Mouse (Murine)). He, Li, Chen, Zhang, Chen, Hayashida, Zhu, Tseng: "Suppression of activation and induction of apoptosis in RAW264.7 cells by amniotic membrane extract." in: Investigative ophthalmology & visual science, Vol. 49, Issue 10, pp. 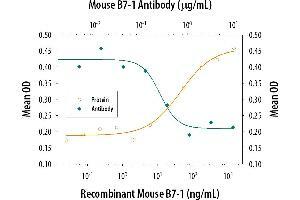 4468-75, 2008 Method employed by authors: Immunocytochemistry (ICC), Immunocytochemistry (ICC), Immunocytochemistry (ICC) (Sample species: Mouse (Murine)).